Interviewing for a new job can be a job in and of itself. There is a lot to take into consideration when you start looking for a new job. Firstly, just making sure you applied for the right job position is key! Don’t just take anything that comes along because you may never be happy if you end up there. Secondly, job searching, company researching, and networking is time consuming and can seem like a never ending process. To help streamline your long-winded process, here is our Top 5 Recruiter Insider Secrets for a perfect interview. 1) Stalk the Company. Ok, not literally stand outside and watch from behind a bush what goes on inside, I mean check out their website, Facebook page, Twitter account and LinkedIn profile. 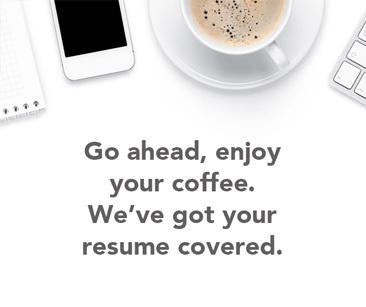 So much information can be found at your fingertips and your new potential employer knows that. If you don’t know the basics about the company – what they do, their objectives, and their competition – they will think you don’t care about your future there. Also, if you know the names of the managers interviewing you, check them out on LinkedIn. You may have gone to the same school, worked at the same place in the past, or are a part of the same organizations. Having something to bond over is a great way to get into their good books and leave a lasting impression! 2) Don’t Talk Too Much. In other words, think before you speak. There is nothing more distracting or confusing for an employer when candidates start to ramble on because they haven’t articulated their thoughts yet. Not only will you be confused about where you were going with that story, but the interviewer will be bored and probably losing their concentration. There’s nothing worse than seeing them doodling instead of listening to your highlights! Don’t lose their attention! Be precise with your answers, even if you need a minute to think. Use the story structure of Problem-Action-Result. Name the problem, what you did to resolve it, and what the result was. Easy as pie. 3) Dress for Success. This may be the world’s most clichéd line, but it’s a cliché for a reason. It’s the truth. You need to show that you mean business and that you are a well put together human being who is a necessity to the company. Looking powerful makes you feel powerful (but don’t let it go too much to your head). You want your future employer to see that you are an asset to the company and looking the part is a huge part of our culture. 4) Let Some Personality In. Robots haven’t taken over the world for a reason. Humans need and crave human interaction. That is done through great conversations. Don’t be afraid to relate something to your personal interests, just nothing too personal! Connecting is a great way to let them know you will be a great person on a team. Also, remember that during the interviews the job is yours to lose. The hiring manager needs someone on the team quickly, they choose your resume, and now they need to see how you will react to their questions. Keep calm, answer truthfully, and be yourself! 5) Don’t Always Save Your Questions Until The End. There are no set rules or timelines for how an interview should go, which is why you should take advantage of that. Hiring managers will always ask you if you have any questions at the end of the interview but you may have been so concerned about your answers and what they were saying before that you forgot to take notes. If they say something you have a question about, ask it right away, and while they answer it, TAKE NOTES. Notes are great for during and after the interview. When you follow up the next day you can reference things discussed, which helps with the appearance of your professionalism.